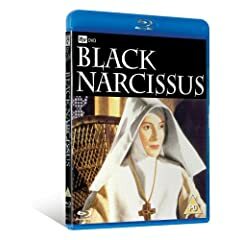 Black Narcissus (6/16) for 13.59 pounds. Probably the cheapest you will get this classic. Then I saw a new release of Lean's Great Expectations for the same amount. I will wait to see the transfer before I buy this. There are others like the Boys from Brazil, Bugsy Malone and Escape from Athena for the same price. Not sure if these are region locked. May need to do some research. Also a great deal on Starship Troopers (not locked) for just 12.79 pounds. Blahdvd is a good seller. I have bought many disks from them. But a little slow. whats the conversion equation on almost 14 pounds? Hell, I'd pay twice that for Black Narcissus in high-def. I'd like to find out about the region coding on that one, though, before I order anything. View Next Unread 300....HD-DVD? Blu-Ray? or both?